Nathan Aweau was born into a musical family, his grandparents could play various instruments as well as performing with a band, his mom a piano player and his father for many years taught music and was a choir director as well as a Polynesian music teacher at various high schools. His early years consisted of piano lessons, learning the guitar and ukulele and having the natural ability to sing. From grades seven through twelve Nathan Aweau's main instrument was the saxophone. 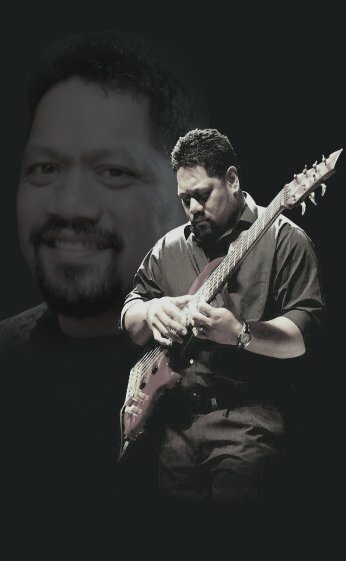 In 1983, during his college years, Nathan Aweau started his professional career accompanying performers such as Gabe Baltazar, Henry Kapono, Loyal Garner and Nohelani Cypriano to name a few. He was a member of the Hoku award winning group, Ka'eo, as well as with the award winning group The Ali'i's. He also did a 16 year stint with the legendary Don Ho. He’s done various high school and college level seminars, covering subjects from writing, arranging and sequencing to computer music. For a few short years, Nathan Aweau was a music teacher at various schools in Hawai’i. He’s even done a project with students from Campbell High School. The students had a chance to see the workings of what goes on in producing a song and recording it. Other than being a stage musician, Nathan Aweau has performed on commercials for Windward Mall, Meadow Gold, JCB credit card co., etc. He's done background music for various T.V. shows for the Travel Channel, and has done music beds and liners for various radio stations. In 2001, Nathan Aweau released a CD which garnered him a couple of awards. One was for “Male Vocalist of the Year”, “Song of the Year” and “Contemporary Hawaiian Album of the Year”. A few years after, he released a Jazz CD which focused on the electric bass…this project was honored as “Jazz Album of the Year”. From 2002-2010, Nathan Aweau was a member the most successful Hawaiian music troupe in recent history. In 2005 they released an album which shot up the Billboard Magazine’s World Music chart, and peaking at number 7. The following year they went home with 4 out of 6 Hoku Awards. That very year this Hawaiian Singer was honored as “Male Vocalist of the Year”. This was his second time that he went home with this award which placed him in a small group of gentlemen who has won this award more than once. In 2006 he yet again was honored as “Male Vocalist of the Year”, his second in a row, three times total….the only male artist to be recognized as such. Nathan Aweau was part of two projects that were nominated for Grammy’s; He wrote and performed a song with Amy Hanaialii in her “Friends and Family” CD. He wrote and performed a song on “Hawaii Slack Key Kings” CD. In December 2007 Nathan Aweau released another CD that focused on songs which celebrate the place that he calls home. He wrote all twelve songs, played every instrument, sang all the background parts, engineered, mixed and mastered the entire CD. Wayne Harada, a very well respected music critic once said of him, “...is that distinguished rarity…a jack of all trades, master of a wide domain”. Don Ho exclaimed, “A diamond in the rough with tremendous potential”. New York Times, “...has an indepth understanding of orchestration, and his singing style is effortless”. Male Vocalist of the Year, Song of the Year, Entertainer of the Year (2002). Male Vocalist of the Year, Jazz Album of the Year, Album of the Year, Entertainer of the Year (2005). Contemporary Album of the Year, Graphics, Engineering, Entertainer of the Year, Group of the Year (2005). Male Vocalist of the Year, Entertainer of the Year. DVD of the Year, Group of the Year (2006). Male Vocalist of the Year, Hawaiian Album of the Year, Album of the Year, Song of the Year, Entertainer of the Year, Graphics (2008).